Insurance, Fair Market Value, and Liquidation Appraisals. The type of appraisal you need depends on how it is going to be used. The written description of the jewelry may be similar, but the method of calculating the value, and the use of the appraisal is limited to a specific purpose. 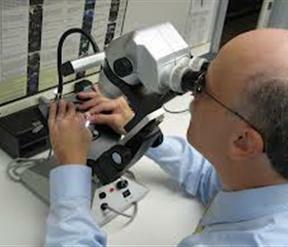 To find out what type of appraisal you need, you must examine the reason you require a jewelry appraisal. Insurance Replacement Appraisal: When you need to obtain insurance coverage against loss or damage . Retail Replacement Appraisal: When you need to know the current retail price to replace an item. Fair Market Value Appraisal: When you are buying or selling a previously owned item. Fair Market Value Appraisal: When you are dividing property in a divorce. Fair Market Value Appraisal: When you are dividing property in an Estate. Fair Market Value Appraisal: When you are establishing a trust or in estate planning. Fair Market Value Appraisal: When you are establishing value for tax purposes. Liquidation Appraisal: When the jewelry is used for collateral. Liquidation Appraisal: When forced to sell due to bankruptcy.